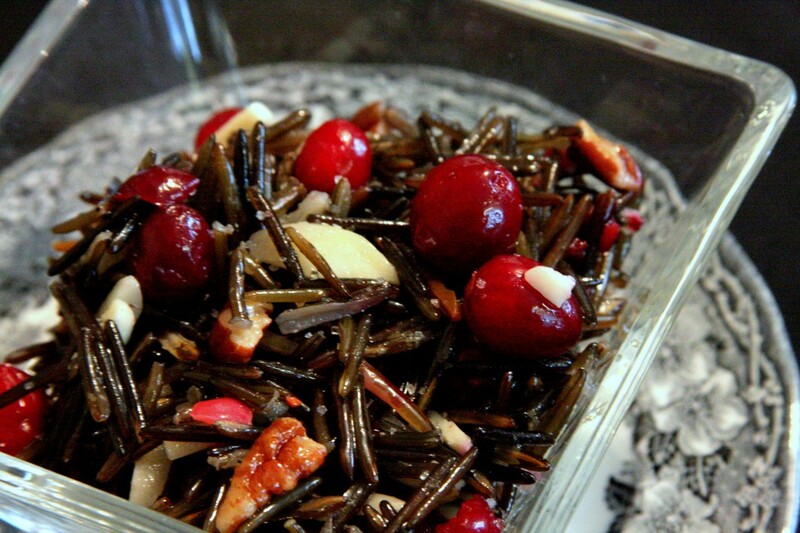 Ahhh Cranberries and wild rice. I absolutely adore this festive season combination- and every year I can’t wait to bust it out and make it all over again. There’s just something about saving certain dishes for a special season that makes them extra delicious. This is one of those meal-in-a-salad dishes. If you need something that will get you through the mid-day blahs, its a perfect lunch. Just don’t skimp- do use wild rice. It makes all the difference with high fibre and taste. 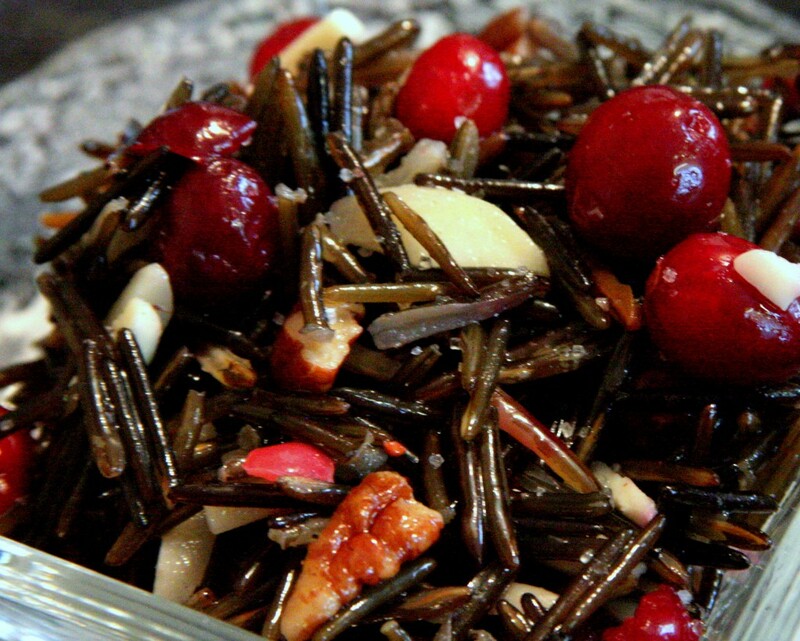 You can eat this salad hot ( Wild rice can be a bit tougher to chew the next day if you keep it in the fridge. Heating up the salad fixes that). Or you can have it cold- just make sure you cooked the rice long enough beforehand so its soft to chew. The sharp tartness of the cranberries balances really well with the raisins (or frozen blueberries), and the dark chewiness of the wild rice. The flavours are smoothed together with the roasted nuts and fragrant walnut oil (you can use another oil too if you prefer). Since the wild rice is unprocessed and full of fibre, the salad is lower on the glycemic index (great for a candida diet!). The one thing I can’t decide on is the cranberries- I’ve tried them these different ways below, and they are all good- pick what works for you! Cook the wild rice- you’ll need 2 cups of water, and it will take a while of boiling to get it to a tender consistency- about at least 40 min. Check your pot to make sure you don’t run out of water! Prepare the cranberries however suits you- raw and chopped, raw and whole, or slightly cooked. Roast the pecan nuts (or nut free sunflower seeds) at 350 degrees for about 5- 10 min. Check to make sure they don’t burn. Mix all the ingredients in a bowl. Raisins can be substituted for 1 cup of wild blueberries, if you need less sweetness or can’t handle sulfites found in most dried fruit (you could also try organic, that may help).